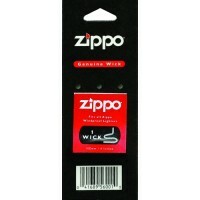 Authentic Zippo Wick. 24 Packs With 1 Wick Per Pack In a Box Display. 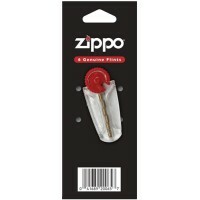 Zippo’s Genuine Wick will k..
Zippo Flint. 24 Packs With 6 Flints Per Pack In A Box Display. Zippo’s Genuine Flints will keep y..
Zippo Lighter - Black Matte. $19.95 Pre Price. 1ct. • Black Matte • Packaged in an environmental..
Zippo Lighter - Black Ultralite. $23.95 Pre Price. 1ct. • High Polish Chrome • Black Ultralite® ..
Zippo Lighter - Classic Ebony. $29.95 Pre Price. 1ct. •Ebony™ •Zippo Logo •Packaged in an envir..
Zippo Lighter - Green Matte. $19.95 Pre Price. 1ct. • Green Matte • Packaged in an environmental..
Zippo Lighter - Jack Daniel's Label. $22.95 Pre Price. 1ct. • Street Chrome™ • Packaged in an en..
Zippo Lighter - NFL Chargers. $27.95 Pre Price. 1ct. Celebrate the return of football seaso..
Zippo Lighter - Orange Matte. $19.95 Pre Price. 1ct. • Orange Matte • Packaged in an environment..
Zippo Lighter - White Matte. $19.95 Pre Price. 1ct. • White Matte • Packaged in an environment..